Manchester City v Chelsea: Early thoughts ahead of the biggest game of our season so far. Antonio Conte takes his Chelsea team to the Etihad Stadium tomorrow to face Pep Guardiola's Manchester City side in the showpiece lunchtime kickoff. It's the perfect game for Chelsea coming at the perfect time in my view. Seven wins in a row with just a single goal conceded, this is without question our biggest test of our new formation and of our tactics. Against Tottenham last weekend, Chelsea found themselves a goal behind and not playing well for the first time in months. Chelsea could not get a foothold in the game, struggled to get their foot on the ball and play and it seemed as though we struggled to cope with the shape of the Tottenham side for the majority of the first half. As we know, Chelsea battled back with a goal before half time from Pedro, followed by a far better performance in the second half and took full advantage of a fading Tottenham side to take the three points to take their place back at the top of the Premier League heading into this weekend. The game tomorrow will be the ultimate test of what appears to be two of the brightest tactical minds in the game today. Pep Guardiola known for his idea of football coming up against Antonio Conte who has, with a change in Chelsea formation, totally changed our fortunes and has the Blues playing some of the best football we have seen at Stamford Bridge in a while. Manchester City will pose the Chelsea back three the biggest test with the amazing attacking talent they have. 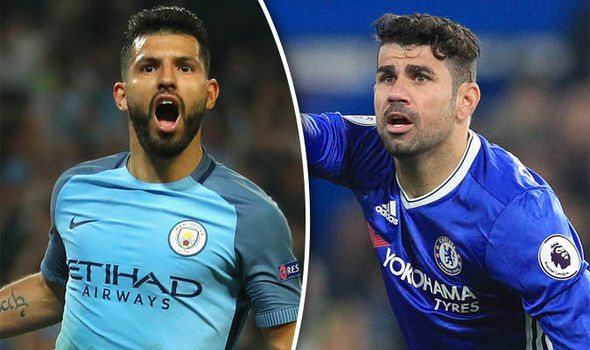 Sergio Aguero, Raheem Sterling, Kevin De Bruyne and Nolito will all look to cause Chelsea problems throughout the game and it will be interesting to see how well we can deal with them. In the midfield the battle will continue to rage between Nemanja Matic and Yaya Toure, supported by N'Golo Kante and Fernandinho. Whoever can dominate in this area could have a major influence on the outcome. Now for me, Chelsea's attacking three up against Manchester City's back four is key as without Vincent Kompany leading the line, City look vulnerable and much weaker. Diego Costa, Eden Hazard and Pedro will be looking to torment City as they have everyone else in the last seven games and it will be interesting to see how City cope with OUR threat. Let's not forget Marcos Alonso and Victor Moses in the wide areas too! It has all the makings of being a classic. If Chelsea can keep their winning run going and beat City tomorrow I would then be more than confident of a top four finish at the end of the season. I am going for Chelsea to win the game 1-2. What do you people think?